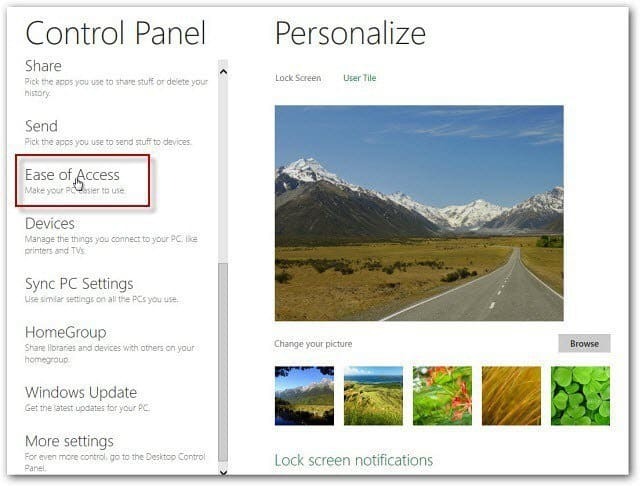 Until Windows releases the Consumer Preview – rumored for release February 29th of this year, there isn’t many way to customize its look. 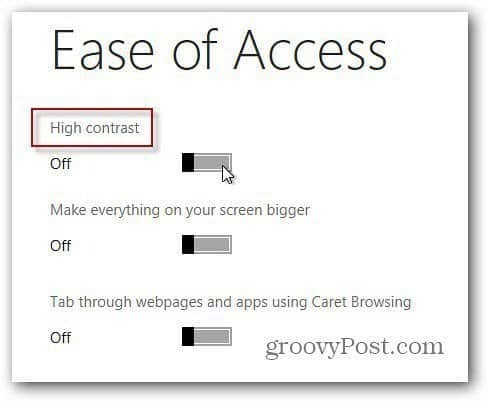 Today I‘ll show you how to make it display in High Contrast mode, which looks pretty awesome. 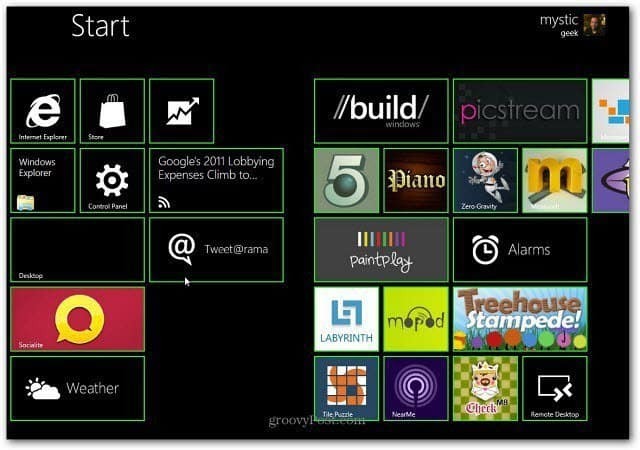 Launch Windows 8 Developer Preview and tap or click Control Panel from the Metro UI. 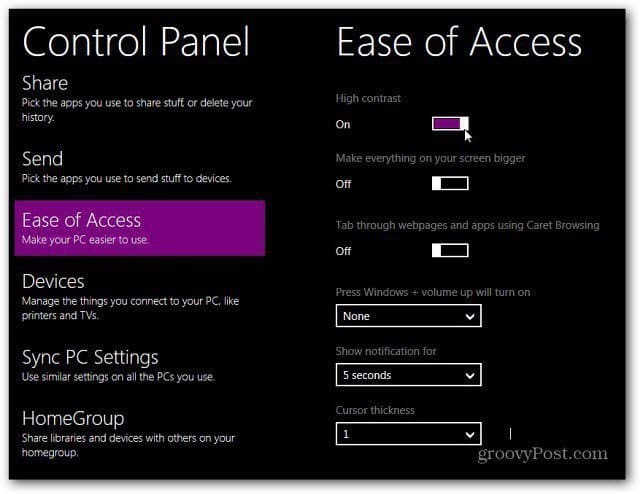 Next, scroll down and select Ease of Access Center. Now, next to High Contrast move the slider to the On position. 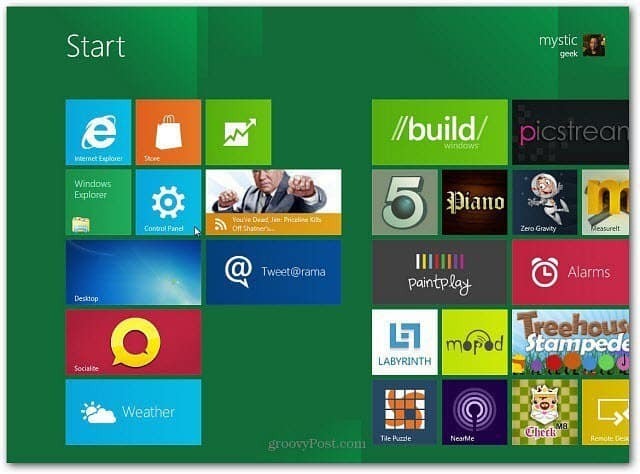 Give your system a few seconds to make the changes. When it’s done here is what you’ll see. Here are a couple of shots of what the main Metro UI looks like in High Contrast mode. 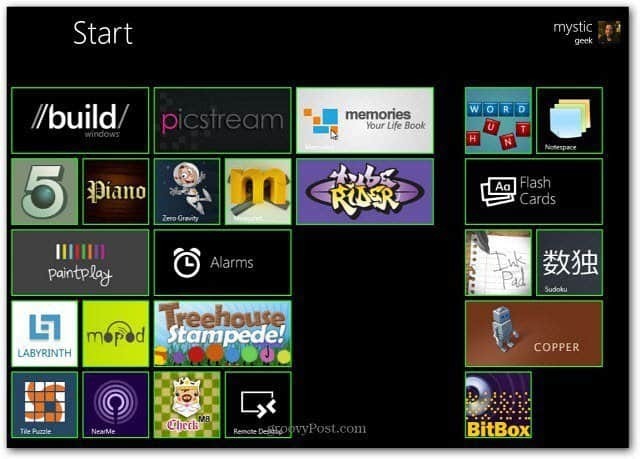 If you’re looking for a way to change up the scenery of Windows 8 Dev Preview, this is a groovy way to do it.